We’ve taken the traditional lettuce wrap as inspiration, but substituted in healthful kale and rotisserie chicken for speedy preparation. Add sesame seed oil to a large non-stick skillet, and once hot add in garlic and onions. Add carrots and mushroom to the pan and saute for a few minutes (mushrooms should be slightly browned, but not dark). Add in sliced rotisserie chicken and soya sauce, tossing to coat. Add salt and pepper. Cook for an additional few minutes. Meanwhile, in a pot boil water and add noodles (refer to packing instructions for length of time, however, they won’t take long). Once done, drain noodles. 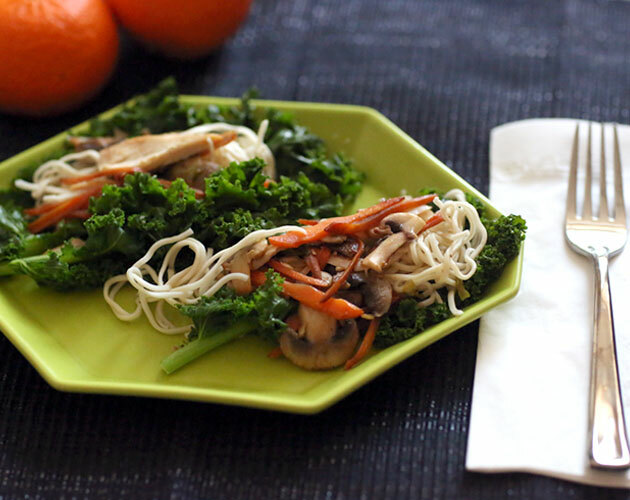 Remove chicken stir fry from pan and set aside. Add in kale and little water. Cover and allow to steam for a minute, or two. 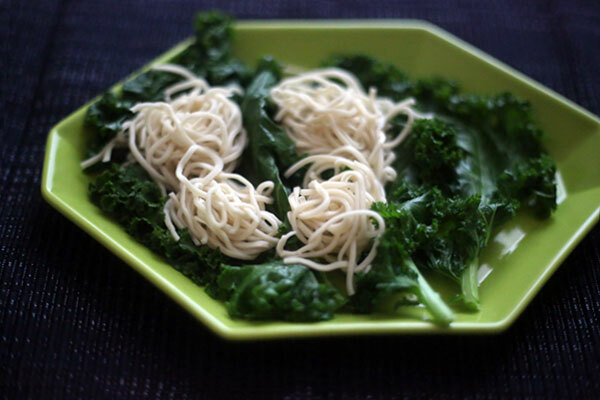 Transfer each kale leave to a platter and top with noodles and then chicken stir-fry.